We're starting to see the fruits of our efforts – and all the hard work put in by our donors, volunteers and teachers. Besides the core subjects: English, Maths, ICT and Science, CofA students get involved in creative writing, art and self-expression. All this will create all-rounded individuals who are ready for what the world throws at them. Take a look at some of the photos taken during the 2018 summer camp at the University of Ghana, Legon. CofA’s 2016 Summer training camp will take place at the University of Ghana from 24 July to 8 August. 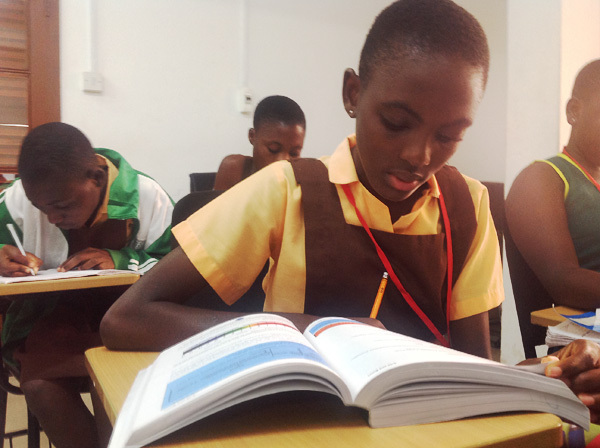 A new intake of 25 girls – aged between 11 and 14 years - from Berekuso Basic School in Ghana’s Eastern Region have been selected for a three-week programme of tuition in the core subjects of English, Maths, ICT and Science to prepare them for entry into Senior High School. In addition, five CofA girls who are now at Senior High School will return this year’s summer camp for a week of intensive training. CofA believes it is equally important to equip these girls with the life skills they will need to develop into motivated and confident young women. With the help of our volunteer teachers, the girls will be taught leadership skills, public speaking, creative arts, communication skills and adolescent reproductive health. 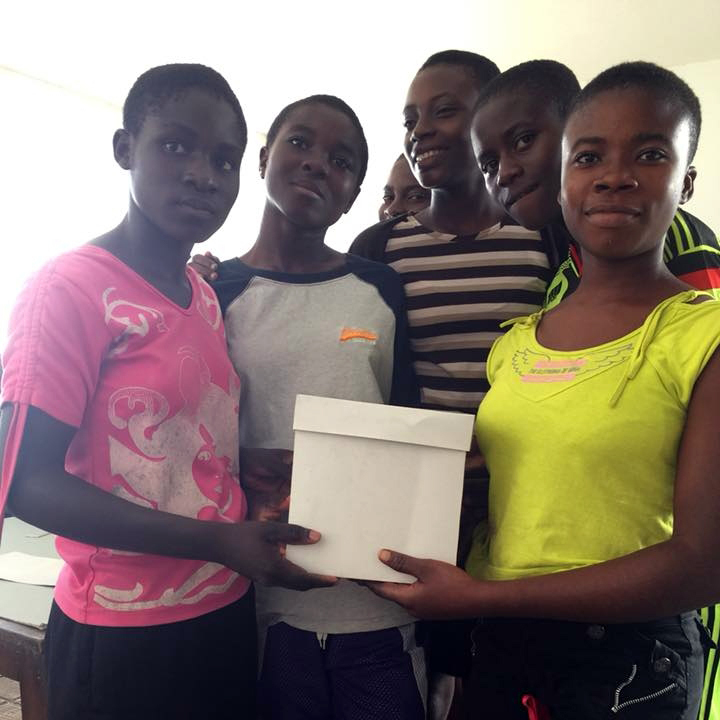 This year sees the introduction of an ICT workshop, equipping girls for a digital future. With the help of ‘Young At Heart Ghana’, an organisation that focuses on bridging the gap in computer literacy in Ghana, a group of volunteers with take the girls through elementary coding and lessons in using ICT as a business tool. These training camps wouldn’t be possible without our volunteer teachers and support staff. Some new and returning teachers include Leone Allotey, an English teacher; Daniel Amponsah, teaching Maths and Science; Walter Kofi Asigbetse, who has been with CofA since 2009 as a Maths teacher; Dominic Osei-Asibey, in charge of ICT; plus Senyo Adzoro and Silas Hibbert, who will again be in charge of the Creative Arts programme. We also welcome our two new teachers: Grace Afi-Doh Amounu, who will be teaching Maths and Afia Kesewaa Akosah, who is an English teacher. Every year CofA relies on older girls as mentors and this year we welcome one of our CofA old girls’, Lydia Enyiman, who is now in a nursing training college, plus eight female students from the University of Ghana. CofA continues to receive financial support from friends and supporters that make these summer camps possible. A special thanks this year to the Association of Spouses of Heads of Mission in Ghana as our major funder for the 2016 summer camp. Why not join the growing group of CofA supporters by making a donation? The Fundraising page gives details of the financial help you could give us. 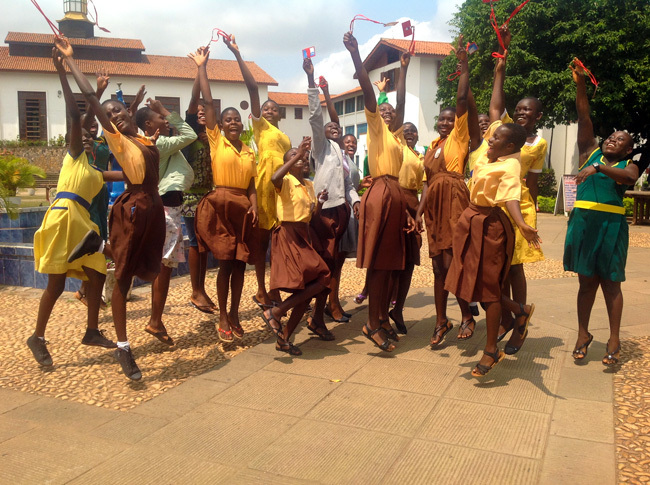 Keep up-to-date with CofA's progress, find out about the CofA girls' achievements and read about what we have learnt and how we share this with education authorities. To subscribe, email info@cofa-foundation.org and stay informed. Copyright: College for Ama (CofA) 2017. All Rights Reserved.